Learn how to take classic dishes and elevate them to new heights. After a welcome glass of fizz, Kenny Tutt, MasterChef Champion 2018, will lead you through the preparation of that British classic, a mustard-coated rib of beef. 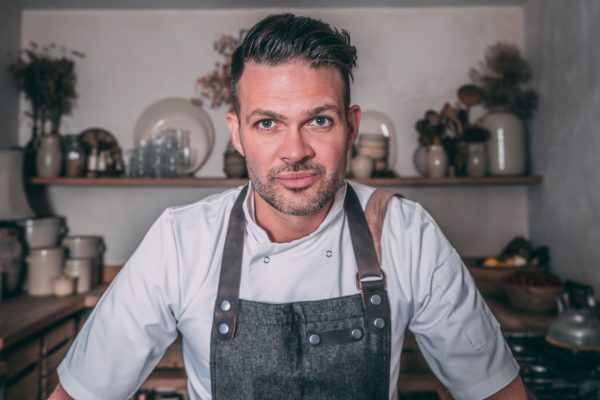 He’ll then take you through his tips for the perfect golden roast potato, seasonal vegetables, Yorkshire puddings, bread sauce and proper gravy – and he’ll join you with a specially matched wine as you enjoy your Sunday roast together at the end of this one-off Masterclass. Tickets for this event are currently £99 per person (reduced from £125pp, for a limited time only during our holiday sale!) including all equipment, food, and accompanying wines. Funds raised from this class (and Kenny’s previous Masterclass in November) will support a new programme of cookery activities for unemployed 16 to 24-year-olds in the city, in partnership with Barnardo’s. Kenny has generously donated his time for the class.